Jackie will be discussing with her guests the challenges facing businesses in the area, as well as new opportunities and innovations. She will have experts on the show who will give helpful advice and information. Fiona McHugh is General Manager of the Hazelwood Community Company, which won the Best Healthy Business Award in the Spelthorne Means Business Awards. Hazelwood is a 63 acre complex providing facilities for all kinds of functions. It provides the administration and training base of the London Irish Rugby professional club and is the base of the London Irish Amateur Rugby Football Club. Daphne Diluce provides aspirational design for commercial spaces and property development. Projects range from shop and office fit outs, refurbishments to new builds. Nikki Faulkner from Mulberry Bush Consulting works with the leaders of small businesses who are struggling to build their teams. She specialises in helping businesses with two to 10 staff get their teams working effectively. Helen Pilmer left her corporate job two years ago to set up her own wine club, Direct Cellars. Rob May, managing director, Ramsac, which helps businesses with their IT, recently gave a TED talk about the answer to cyber security problems http://bit.ly/2EVxVDG – every few seconds someone suffers identity theft. Kate & Paul Wratten, who started Tom Cat Gin two years ago, create Tom Cat Dry Sussex Gin in the style of London dry gin combining six aromatic botanicals using local Sussex produce. Andy Wilmott is membership manager of Surrey Chambers of Commerce. Maurizio and Katka Ferraro are a husband and wife team who have joined forces to open the new Mirra Hair Salon in Weybridge. Karen McKeogh is a business consultant who creates structured growth and sustainability for businesses. Her motto is "Get on track, move forward, make a difference." Sally Pritchett is director and co-owner of Woking-based Something Big which has been ranked as one of the country's leading creative agencies in the Top 100 Independent Agencies in the UK. Margo Manning, leadership and management coach, will be talking about sensible working over the Christmas period. She will highlight the traits of a workaholic and explain why it's vital for everyone to have a healthy work-life balance. She is author of The Step Up Mindset for New Manager. Heidi Thomas is from One Media, which provides marketing, website design and social media. Paul Webster will talk about the upcoming Woking Means Business show, which will take place on Wednesday 18 October at the HG Wells Conference and Events Centre. 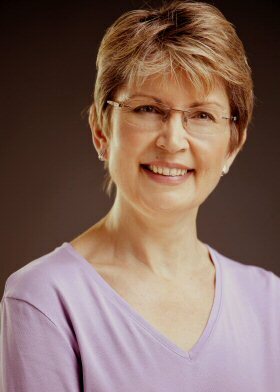 Helen Bullen, Fine Fettle, osteopath was named Business Person of the Year in the Leatherhead and District Business Awards, having grown her client base to over 4,000 people in seven years. Janet McCrum and Terence Collie from Indigo Events provide jazz entertainment for events from a solo artist to a larger ensemble. It has staged several Jazz Festivals working with top international musicians. Gary Evans and Olga Terebenina from Holistic Healing Therapy will talk about the team building days and corporate events they run using sound therapy, mindfulness, yoga and nature therapy. John Durrant from Doctor Photo, winner of the Services Award in the Toast of Surrey Business Awards, enhances and transforms property pictures for estate agents which helps them sell properties faster. Liz Turner from Waytime Technologies, an IT support and consultancy company serving small and medium sized businesses, scooped the overall Business of the Year Award in the Leatherhead and District Business Awards. Jessica Eastwood volunteered with Challenges Worldwide, a charity that offers young people the chance to play a key role in reducing in the world's poorest countries by working with growing businesses. Jessica worked as a consultant helping WeFarm, a social enterprise in Uganda. Nathan Cable from Party Hard Travel, won the New Business Award in the Toast of Surrey Business Awards. It specialises in clubbing holidays for the 18 to 30 age group and is growing at a rapid pace. Julie Watts from Julie Watts Family Law, specialising in family law problems including divorce, separation, financial issues and child arrangements, whether in or out of court. Ian Crocker from Absolute Learning, which runs workshops to help businesses develop their people, increase capabilities and gain competitive advantage. Gillian Everall from Everfair Tax, a tax advisory and compliance service. Jenny Wagstaff, founder of Women Only Connected, the new online social and business network for women. Gary Evans will discuss his new company, Holistic Healing Therapy, which he started with his wife Olga which provides sound therapy events called gong baths. These are relaxation sessions with a mindfulness exercise followed by bathing participants in particular sound frequencies. Keith Churchouse, co-founder of SaidSo.co.uk, an online financial planning web site, will talk about the launch of the company's free financial guide series and how he started the company a year ago. Tiia Sammallahti will discuss how she started her business Truly Gifting, the world's first recycled gifting company and her new packaging and greetings card range for Valentine's Day. The call for people to be authentic at work is increasingly loud. Rina Goldenberg Lynch, founder and managing director of Voice At The Table, will discuss what authenticity really means and why it matters, as well as the evening debate she is holding on the subject on 25 January at 6pm. Rob May, chairman, the Institute of Directors, will be discussing his predictions for businesses in 2016, as well as membership benefits and the sponsorship of this year's Toast of Surrey Business Awards. Jill Lee, Enterprise M3 Growth Hub Manager, will be sharing how The Enterprise M3 Growth Hub, launched last November, helps businesses achieve results quickly through a personal tailored service focused on growth. Author Tom Evans will talk about "Living Timefully", the world's first time management programme based on mindfulness, as well as his new book "Mindful Timeful Kindful" about having more time in your day to do the things you want. Elizabeth Vickery from V3 Print, Weybridge, will talk about how funding from the Elmbridge Civic Improvement Fund (ECIP) was used towards new signage to help the business become more visible, how her business started and what it offers. Carolyne Cross, principal, ISIS Beauty Academy, has won the "Best for hair and beauty" category in the Elmbridge Independent Retailer of the Year Awards. She will talk about what the Award means to her and what the Academy offers. Alex Cooms from Brightwater Brewery will talk about how he started his business producing Claygate beer and running the smallest pub in Surrey. Currently the company brews five beers, supplies local pubs and takes part in local beer festivals. Councillor Christine Cross, Portfolio Holder for Community Development, will talk about this year's Elmbridge Independent Retailer of the Year Awards, the ethos of the Awards, the role they play in the local community and this year's winners. Keith Pollington from Pollington Newsagents in Oatlands, Weybridge, is the overall winner in the Elmbridge Independent Retailer of the Year Awards. He will discuss what the Award means for his business. Janice Gordon, also known as The Problem Solver, helps businesses overcome their challenges and grow. She will discuss the most common business problems and her free ebook "How To Stand Out From The Crowd". Do you know how to manage reputation and communications in a crisis situation? Nicky Rudd, managing director, Padua Communications will be talking about a workshop she is running on the subject with Ann Wright from Rough House Media on Wednesday 15 April in Woking, organised by the Chartered Institute of Marketing. Emma Riley, co-owner, The Art Agency, Esher, will be talking about winning the “Best For Speciality Products” category in the Elmbridge Retailer of the Year Award. The Art Agency promotes original work by selected contemporary artists. Beth Meades, marketing manager, Painshill Park, will be discussing how the 18th century landscape garden is available for corporate events, conferences, workshops and lectures, as well as talking about the Park's marketing strategy. Graeme Nuttall, solicitor and chartered tax adviser, has been appointed an OBE for services to employee ownership. A partner at Field Fisher Waterhouse LLP, he wants to spread his business ideas out into the Surrey community. Hannah Young, business owner, Ceramica, a ceramics painting studio in Claygate is one of the winners of the Elmbridge Retailer of the Year. She will talk about her Award and how her business started. Bruce Casalis, founder and director, Bruce's Doggy Day Care, based in Cobham will talk about the company's 5th anniversary, expansion into the Walton area, introducing a new dog boarding service and sponsoring a Guide Dog for the Blind puppy. It has also won the Best Small Business Award at the London Business Awards. Keith Pollington who runs Pollingtons newsagents in Oatlands Village, Weybridge, has been named as Independent Newsagent of the Year. He talks about the Award and how it has helped his business. Gerry Brierley, vice chair of the Federation of Small Business Surrey Policy Team talks about her special interest in getting fairer deals for micro businesses, why she has taken a career break, tips for small businesses and her plans for the future. Mike Loughton, business growth adviser, Nigel Botterill's Entrepreneurs Circle, talks about how he helps business owners achieve the results they set out to achieve. What are the six numbers business owners should know that are critical to success? Anita Winter Apprenticeship Manager, Brooklands College, discusses the benefits of taking on an apprentice, how an apprentice can help your business and how Brooklands College can help.